According to the latest County Health Rankings, 94 percent of Macomb County residents have access to physical activity opportunities.  While Macomb County is home to the Macomb Orchard Trail, three Metroparks, one state park and dozens of municipal parks and recreation centers, more than 25 percent of residents reported no leisure-time physical activity in the past year. In addition, more than 50 percent of deaths in Macomb County are related to four chronic conditions that are caused by preventable health behaviors, including lack of physical activity. These facts and figures, along with the Macomb County Health Department's 2015 Community Health Assessment and subsequent Community Health Improvement Plan, inspired the Department to launch the Move More Macomb campaign and website. The Move More Macomb campaign is focused on increasing physical activity in residents. Regular physical activity can improve health and reduce the risk of developing a chronic disease. Move More Macomb was created to help community members find physical activity opportunities for all fitness levels, ages and costs and its mission is to encourage everyone who lives, works, learns and plays in Macomb County to move more. "Our Community Health Assessment in 2015 not only identified that chronic disease was a concern for our residents, but also indicated that residents wanted to know more about physical activity resources in the County," said William Ridella, director and health officer, Macomb County Health Department. "Movemoremacomb.org is a central resource that anyone can utilize to find opportunities for physical activity in Macomb County." You can visit movemoremacomb.org to find out what to know and where to go to be physically active in Macomb County. Move More Macomb answers questions about physical activity: what it is, when you need it, why you need it, where to go to be active and how to get started. The website features links to parks and trails, adaptive recreation opportunities (inclusive and accessible for all abilities), educational and fitness classes, recreation and senior centers, sports, walk/run/bike groups, worksite wellness information and an attractions map. The website can be reached on a desktop or mobile device.